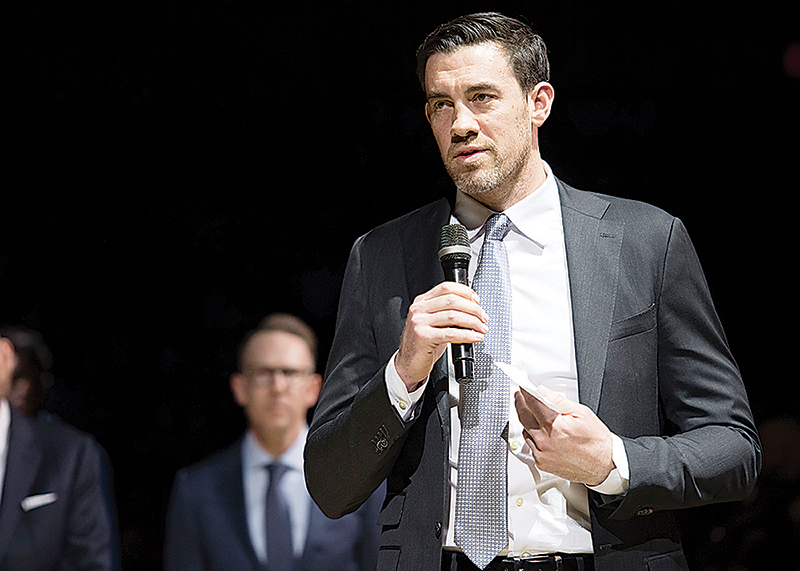 AP PHOTO - Former Oklahoma City Thunder player Nick Collison speaks during a ceremony to retire his number before an NBA game against the Toronto Raptors on Wednesday in Oklahoma City. OKLAHOMA CITY — Nick Collison’s No. 4 jersey was retired by the Oklahoma City Thunder during a ceremony before their game against the Toronto Raptors on Wednesday night.